Give the perfect gift .....free choice ! send you an invoice to purchase it. Then, we pop it in the mail, complete with a few of the little Blackthistle "extras" people have come to expect. Specify if you wish it sent to you to sign and gift, or fill in the to and from information and a different "ship to" address for us to send it to them directly. The purest of black licorice in little Scottie bites...in a generous 11.25 oz bag or in a small 2.75 oz. "snacking" bags. For a limited time, Gimbal's strawberry as well in an 11.25 oz bag. Try our own special mix of Gimbals's black, seasonal Christmas cherry and special strawberry in an 11 oz. cannister . 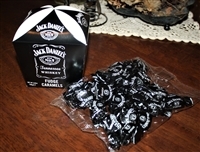 Please note: snack size is available only in black licorice. Guiness fudge in just the right token size for gift giving....or just to tuck in your own briefcase or backpack. From teacher to delivery and mailman, a sweet treat sure to be appreciated. Filled with 12 individually wrapped bite size pieces it is a crumbly and rich flavoured fudge sure to please. A wonderful treat to keep on hand in your pantry ! container that holds 26-28 individually wrapped treats that make a great gift. All Natural, Contains no hydrogenated oils or fat. For complete details, see the Important Information tab. filled with a Guinness flavored truffle cream and topped with a white chocolate "foam" head. Made by Lir, one of Ireland's award-winning chocolatiers they mix luxuriously smooth chocolate with the rich molasses and espresso flavors of authentic Guinness stout. eat them yourself. Either way, sure to be enjoyed. Pre-wrapped fudge caramels made and packaged in Scotland from a traditional recipe by Gardiners of Scotland and mixed with sea salt from the Isle of Skye...all placed in a beautiful dragonfly tin. Each 10.7 oz. 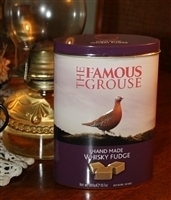 tin contains contains 28-30 pieces of individually wrapped delicious fudge handmade with a traditional Scottish Recipe by Gardiners of Scotland. filled with individually wrapped pieces of a crumbly, rich flavoured treat sure to please. © Copyright 2016 www.blackthistledesigns.com. All Rights Reserved. Built with Volusion.